fantastic new book by sheri koones on the merits of prefabricated and energy efficient home building, with foreword written by robert redford. prefabrication offers a simple path to the green home of your dreams, and in her latest book, prefabulous author sheri koones highlights the many ways of using prefabrication to create almost-off-the-grid homes — houses that are not only environmentally friendly but often operate at nearly zero annual energy cost. prefabulous + almost off the grid profiles more than 30 of the most energy-efficient homes in the united states, and this hardworking guide reveals how homeowners can achieve similar results with floor plans, the latest, most efficient technologies, and multiple images of the exterior and interior of each home. i really enjoyed reading this book and would offer it to anyone interested in building a home. the text is well written that a layperson or a professional could benefit from. the range of projects and type of designs conjured up to make these efficient homes varies greatly as well as the climates that the homes are located in. a few inside pages reveal the very well photographed projects with foorplans and descriptions about their key design features and solutions to their unique programs/needs. 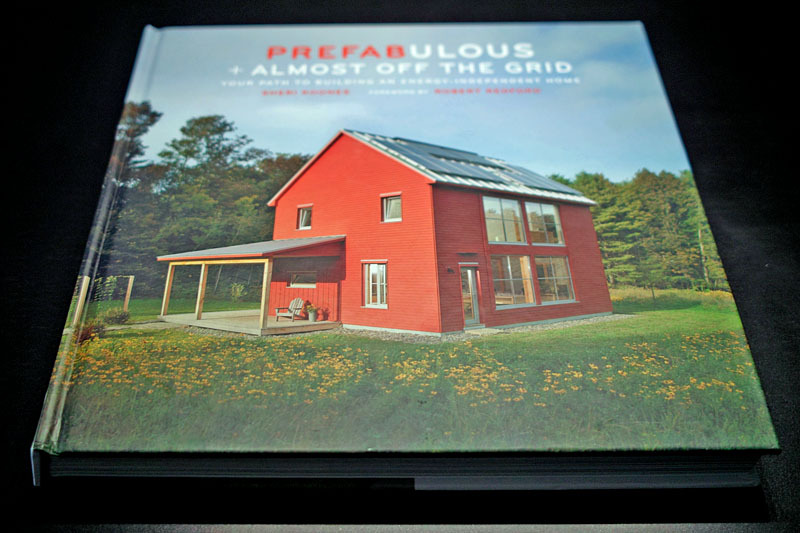 it was great to see some passivhaus (and almost passivehaus) projects featured in the book. page 68 – newport beach house by kierantimberlake built by livinghomes. page 108 – place house by place architects built by place architects and dlh. page 224 – talesin mod.fab by students from the frank lloyd wright school of architecture. and many more, but i will let you read the book for those. link to podcast builder radio interviewing with sheri koones about her new book here. buy your copy at amazon.ca or amazon.com or barnes&noble or chapters.ca.